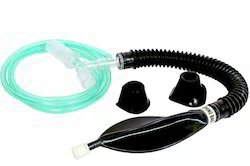 We engaged in providing vital range of anaesthesia circuits that meets the specific need of anesthesia department, which includes bain circuit complete, jackson rees system, anaesthesia close circuit, magill circuit, ventilator circuit and breathing circuit for adult and child. These circuits are available in the various lengths that fit your requirements. We are engaged in offering Anaesthesia Close Circuit. While producing such product we use a high quality of corrugated tube, latex reservoir bag and raw material.We are a vibrant community of young and energetic engineers and non-engineers who strive to look in for different and efficient product manufacturing & sourcing ways that will help solve challenges faced by patient and end-users. We envision ourselves “To be a one-stop solution provider for monitoring the breathing frequency of adults and children". We are one of the leading companies in manufacturing Double Water Trap Ventilator Circuit (New Born/Infant). These products are also known for delivering high durability and dimensional accuracy. While manufacturing we use a premium qualitative raw materials. Adult: Length can be customized. 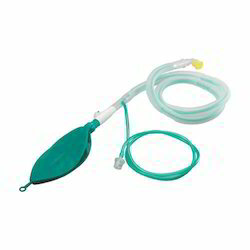 We are well- known name offering a broad array of pediatric set Jackson Rees System. These are available at very competent cost. 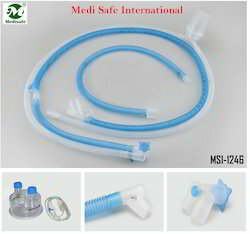 While producing such pediatric set jackson rees system we use a high quality of corrugated tube, latex reservoir bag and raw material. We have been successfully performing in this segment and our satisfied clientele is a testimony to our success rate. These are highly in demand in the market and are widely appreciated for their fine quality and utility. Neonate Heated Wire Circuit with Humidifier Chamber.